Learning a foreign language is one of the best things you could do in life. You’ll get a better job, you’ll get in touch with different cultures and you will meet a lot of new friends all over the world. But to verify your language skills it is better to have an official document. 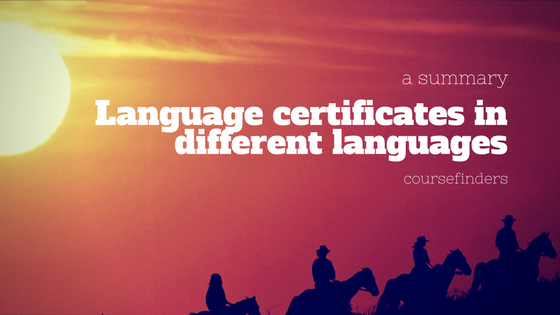 What is a language certificate? A language certificate is an official document which verifies your language skills in a specific language and on a specific level. These levels are normaly based on the Common European Framework of Reference for Languages, which includes the level A1 to C2. Usually there are language certificates in nearly every language. So if you want to write an exam, you’ll find information in our language schools or in the internet. Sometimes it helps to prepare yourself when you visit a preparational class in one of our language schools. There are three certifications of Italian as a foreign language: CELI, PLIDA and CILS. If you are a learner of the Italian language, read our articles. They could help you to choose the right certification.